The Worshipful Company of Mercers is one of the Livery Companies of the City of London. It was incorporated under a Royal Charter in 1394. The Mercers’ Company is based at Mercers’ Hall, Ironmonger Lane (off Cheapside), EC2. The first Hall was destroyed during the Great Fire of London in 1666. The second Hall was destroyed by fire in 1941, during the Blitz. The third and present Mercers’ Hall was opened in May 1958. The architect was E Noel Clifton of Gunton and Gunton. 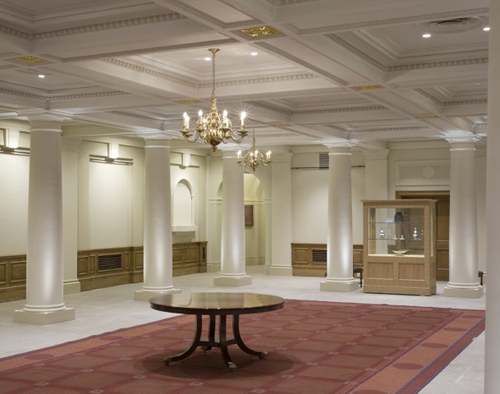 The Hall incorporates fittings from the old Hall, including some 17th century woodwork and Victorian stained glass. 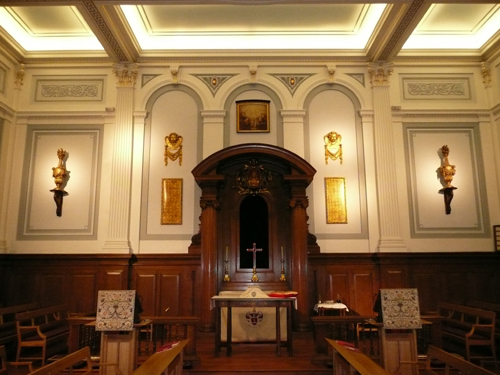 The Mercers’ Company is the only City Livery Company to have its own private chapel. 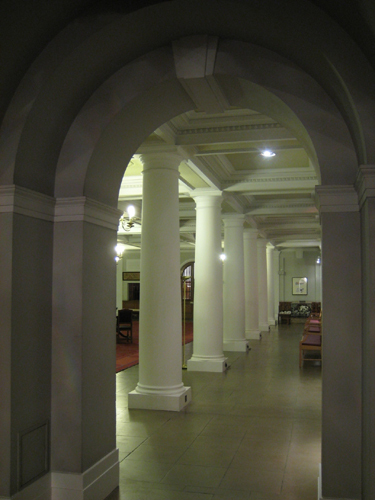 I was asked to propose paint colours and prepare a specification for the repainting of the Ambulatory at Mercers’ Hall. Three colour schemes, with slight variations, were suggested and trialled. One of the options was agreed upon. My company Papers and Paints mixed colours specially for the project.